Despite efforts of support groups and organizations to erase stigmas surrounding LGBT communities, many homosexual teens experience isolation and abuse in places where they should feel safe. A National School Climate Survey found that out of 7,000 participating students, 80 percent had been verbally harassed at school while 40 percent had been physically harassed, and 60 percent reported they felt unsafe. The following is a list of ways to help an LGBT teen who is feeling isolated because of their sexual preferences. Unusual signs of distress or extreme stress can be a tip that your teen is being isolated by their peers. Signs include seclusion/isolation, poor hygiene and/or unkempt presence. Substance abuse can also become a self-medicating tool for a teen who is being bullied about their homosexuality. Counselling offers a non-judgemental outlet for your teen to discuss their concerns, feelings and any anxieties they have about their sexual orientation and social status. It also offers support, which may not be present at home or school. Being part of a support system for your teen is crucial for their mental well-being. Studies show that the more support a teen has, the less isolated they will be. 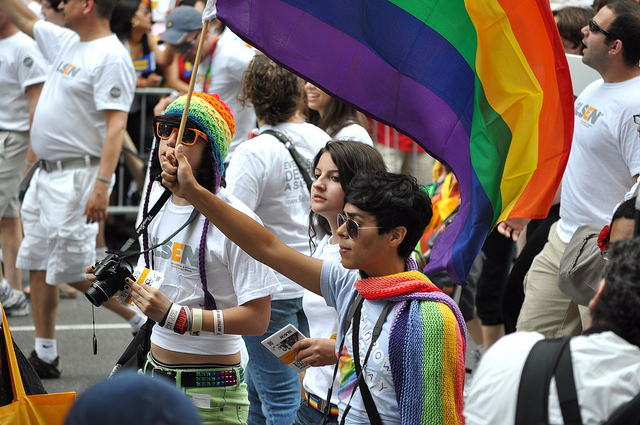 There are many support groups and alliances that are accepting of homosexuals. Community centres and schools often have these groups, which provide a safe and welcoming environment for anyone feeling isolated because of their sexual orientation. It is important to understand what your teen is going through as they begin to figure out who they are, and their sexual preferences. Finding a group for parents or family is one way to connect with other families who are experiencing similar obstacles with their children or loved ones.